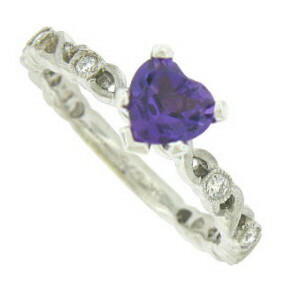 A charming heart shaped amethyst is set in the face of this vintage 14K engagement ring. The band features and open weave chain set with fine faceted diamonds. 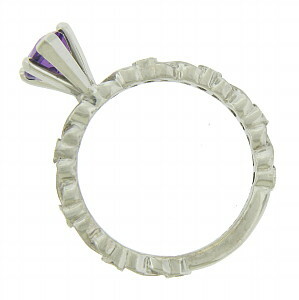 Fashioned of 14K white gold, the ring measures 6.85 mm in width. Size 6. We can re-size.